The security of your clients’ personal information nowdays is something which basically every online store should ensure. In order for all of the information transmitted between the clients of your Store and the Store itself to be encrypted you will need to use SSL certificate. This type of cryptographic layer will basically enable the https protocol which will be used by your Store to encrypt the communication. 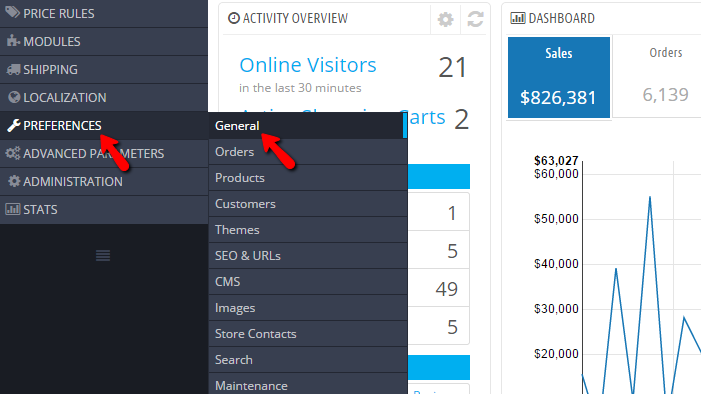 Currently our E-Commerce shared hosting plan included in our Prestashop Hosting package promotes free SSL certificate for your domain name which will dramatically drop the things in your to do list as we will fully take care for the installation and the integration of the SSL certificate with your Store. In the next few lines of this tutorial we will show you how to configure the SSL certificate with your Store in PrestaShop 1.6. In order to activate the SSL certificate for your Store, you will need to first access the General page located inside the Back Office of your Store. In order to do so you will need to simply navigate to Preferences>General. 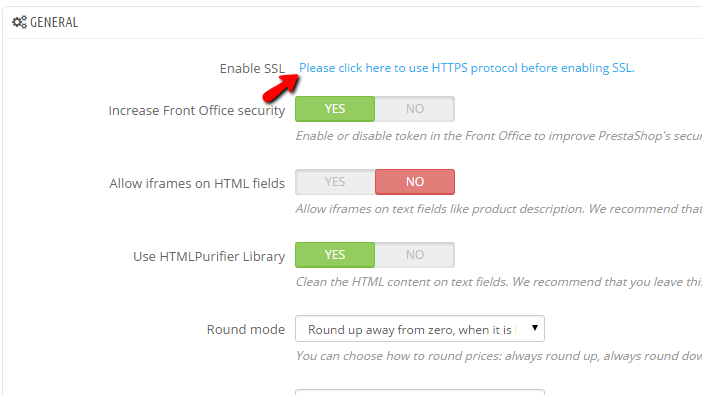 Once there you will notice that on the top of the configuration section there is an option called Enable SSL. Please click on the link next to it (“Please click here to use HTTPS protocol before enabling SSL.”) so you can verify that your Store supports the SSL certificate and then you will be able to activate it easily. Finally, please make sure that the option Increase Front Office security is set to Yes so you can have an additional security improvement. Congratulations! You now know how to configure the SSL certificate installed for your domain on your Store in PrestaShop 1.6!